Hardwood flooring is one of the most popular flooring types for many homes. Offering a wide array of choices plus benefits, it isn’t surprising that many homeowners choose this this type of flooring versus other flooring options. ⋄ Solid Flooring – This is characterized by a single plank of wood which usually comes as either pre-finished or unfinished. The unfinished type is usually sanded after installation while the pre-finished does not need to be sanded, therefore allowing for a quicker completed job. However, the pre-finished is also more expensive and that may be a factor in your decision making on which type to select for your flooring. Another consideration is that there are actually three subtypes of solid flooring: plank, strip and parquet. ⋄ Acrylic Impregnated Wood Flooring – This type is very durable with even layers of color throughout the wood. It comes at high price and is mostly used for commercial buildings due to its ability to hold up well to heavy foot traffic. Incredibly hard, the flooring is rarely infused by moisture and actually remains intact despite heavy pressure. Scratches are uncommon, thanks to the unique finishing of the flooring. ⋄ Engineered Wood Flooring – Engineered wood flooring typically consists of several layers of wood. This makes them highly flexible and ideal for all parts of the house including the living room and even the basement. 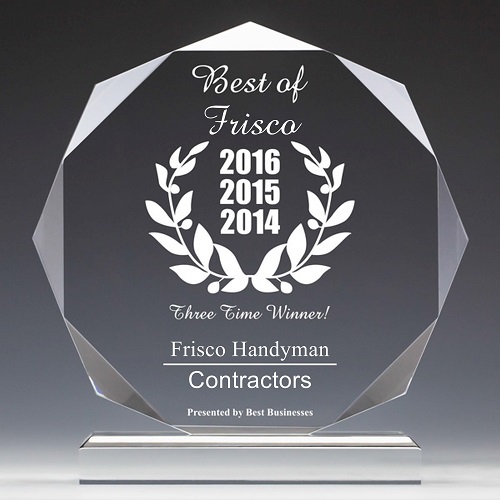 What are some of the Pros of Hardwood Flooring in Frisco TX? ⋄ Long Term – Thanks to excellent manufacturing processes, hardwood floors have become more durable than ever. They have been proven to last for decades through the right maintenance. ⋄ Stylish – They are also very stylish with numerous designs made available in the market. As a homeowner, this gives you the option to choose whatever design you want that would fit the home perfectly. Typically used in residential buildings, hardwood flooring offers a cozy atmosphere that adjusts with the weather. ⋄ Added Value – Lastly, hardwood flooring is actually considered an asset in many homes, in some cases even prompting others to purchase a house. This makes it an excellent real estate investment that proves to be highly liquid should the situation demand it. What are some of the Cons of Hardwood Flooring in Frisco TX? The main problem with hardwood flooring is that it can be very vulnerable to seasonal changes. Solid flooring tends to contract or expand depending on the temperature, therefore requiring more sophisticated installation methods. Refinishing is also required on a routine basis to keep it at its best but otherwise, hardwood floor is an excellent choice for homes and commercial properties.